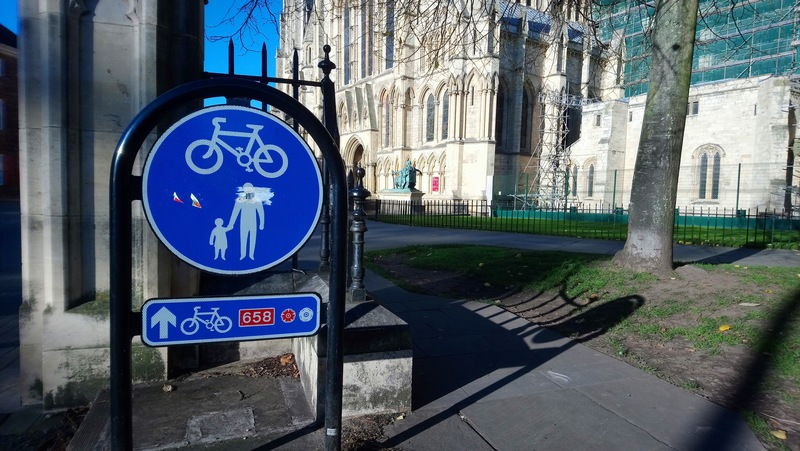 Committee member Peter Sheaf gives us his account of the first meet-up of the new Walk Cycle Forum of York, which has been set up to bring together interested parties looking to improve walking and cycling around our city. ‘I went along to the Walk Cycle Forum (hosted by Your Bike Shed, Micklegate, York) on behalf of York Cycle Campaign. It found it to be a really useful way of meeting other people working to improve the attractiveness of getting around York on foot and by bike. I also thought the Forum has huge potential too, as though I had good in-depth conversations with a few people, there are plenty of people whom I didn’t get to talk to but would like to at future Forums. The format of the Forum was straightforward: Sheridan gave an excellent presentation on the problems (congestion, emissions, sedentary lifestyles, community cohesion) that developing towns and cities around the private car had resulted in, and thus the case for promoting walking and cycling instead. Delegates had the chance to chat to each other over a buffet provided by Your Bike Shed and then sat down in random groups at tables, where after Sheridan’s presentation, they discussed what they did to promote cycling and walking in York, what the problems were, and how they could help each other overcome them. -The perception of cyclists as law-breakers relative to other road users was unfair. The question is, how to change this? -His understanding was that an increasing number of teenage girls were reluctant to learn how to ride a bike safely and legally i.e. complete the equivalent of cycling proficiency. Perhaps York Cycle Campaign could assist with this? -One legacy he was aware of was that Yorkshire Bank had agreed to fund the recovery, repair and reselling at cost price of abandoned bicycles. But though the funding was available, no local group had taken this forward by setting up a facility. Perhaps doing this could be combined with teaching cycling proficiency at York University’s underused cycling track? It was certainly fantastic to be able to talk directly to the Council’s Executive Member for Transport and Planning and get his views on cycling in York. I was left genuinely unsure how pro-bike he is/was. Absolutely any public spending is about priorities, but at present (judging by the Local Plan in particular), the Council’s priorities seem to be about facilitating use of the private car. The next Walk Cycle Forum will be in January 2018.